Hello everyone! It's been awhile since I held Digital Thursday! Today, I have a 8x8 layout I made using the My Digital Studio. I used the following brush sets: Razzleberry Splash, Party Hearty, and San Serif Alphabets. It's a quick layout, but I love it. 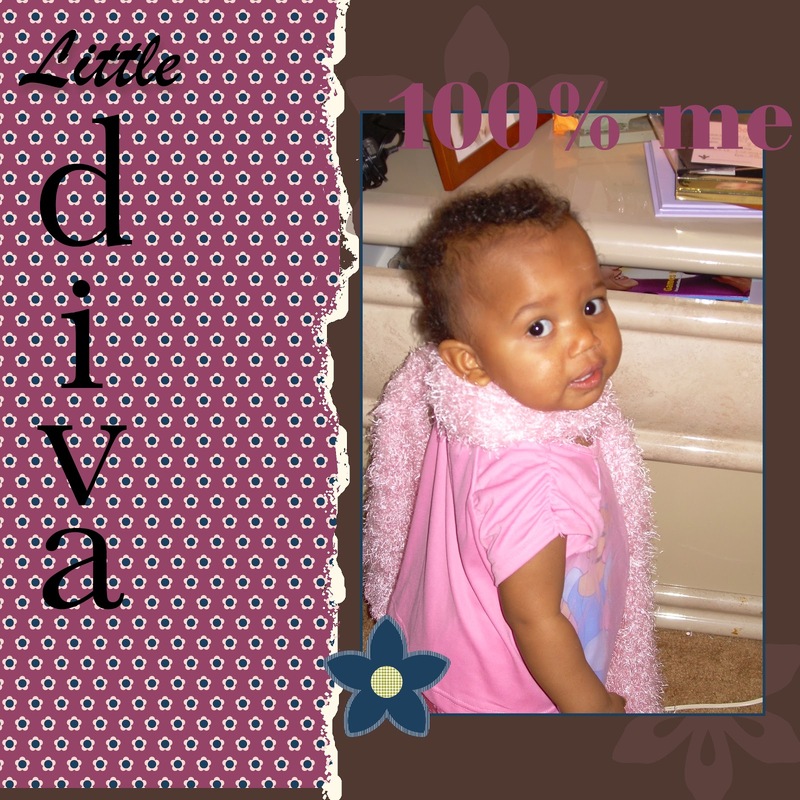 My daughter was 1 at the time, and she is still a little diva! Thank you for stopping by! Visit my new site at Couture Stamping Academy! What a fun layout! Looks like you really do have a little DIVA on your hands - loving that boa! Super layout. Love the colors. What a cutie in the picture!! Great layout and such a cutie!